Introducing our hottest sauce yet: TABASCO® Scorpion Pepper Sauce . 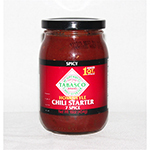 Culled from the flames of flavor, this fiery sauce features a dynamic mix of scorpion peppers, guava, and pineapple all blended with a splash of TABASCO® Pepper Sauce. While typical tabasco peppers fall between 2,500 to 5,000 Scoville Units, one scorpion pepper can pack a potent punch of roughly 2 million. 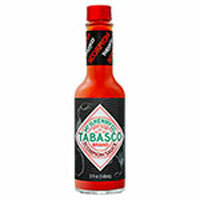 Nearly 20 times hotter than our Original Red, TABASCO® Scorpion Pepper Sauce is not for the faint of heart. Flavor responsibly. 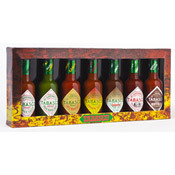 This sauce is produced in small batches and has limited availability.